A few days ago, it was reported that DMW act, Mayorkun lost his 30 Billion Gang neck chain during a performance in Enugu. Meanwhile, emerging reports have it that the “Che Che” crooner has just received another 30 Billion Gang chain from his boss, Davido to replace the lost chain. 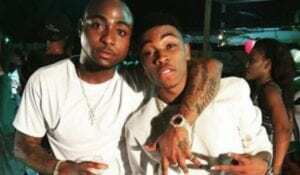 Excited Mayorkun took to Instagram to announce the arrival of the new chain and also appreciated Davido for the kind gesture.